We used to sing that version in InterVarsity in college — minus the youthful voices and organ, of course. I haven’t heard it in… decades. (Can I say that now? I guess I can…) Thanks so much for posting! One of my favorites, too! Does anyone have a good April Fools for today? Does make you think a bit. We visited the Bible Museum in DC, and they did a good job with things, I thought. 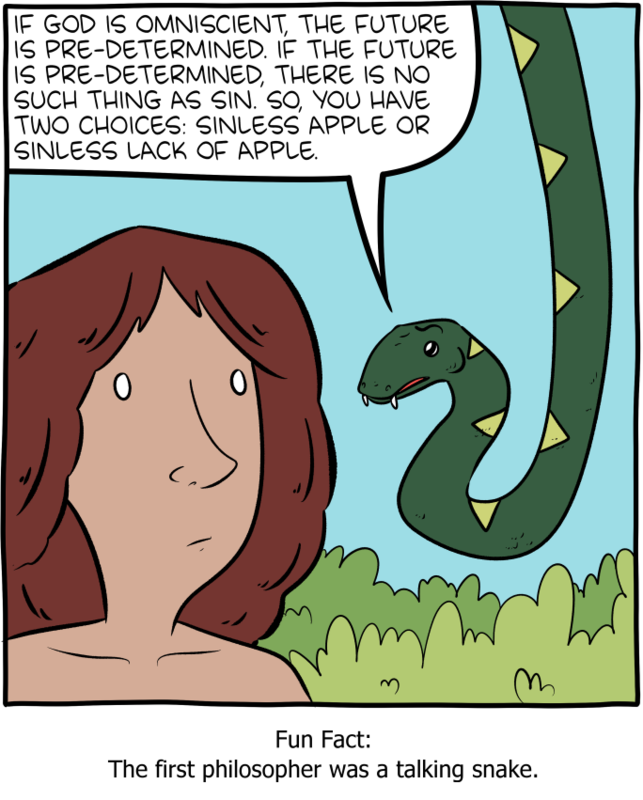 I noticed in the video on the Old Testament, they had Eve eating a pomegranate rather than an apple, maybe a bit more regionally accurate fruit.